What am I knitting this week, you ask? More olive roots sweater. It’s big, it’s dusty green, and it’s still in progress. These days I’m on a sleeve! But, it’s only the first sleeve. The other thing in this photo is a swatch. And actual swatch for a garment in a gorgeous marled yarn that’s not quite available yet. You know what that means? It’s a potential new design! Yippee! I have an e-mail with this title that I use to send myself reminders. It’s the electronic version of writing stuff on a post-it note for myself. I’m sure there’s an app for that, but whatever. I look at my e-mail constantly so having my notes-to-self right there is easy enough. 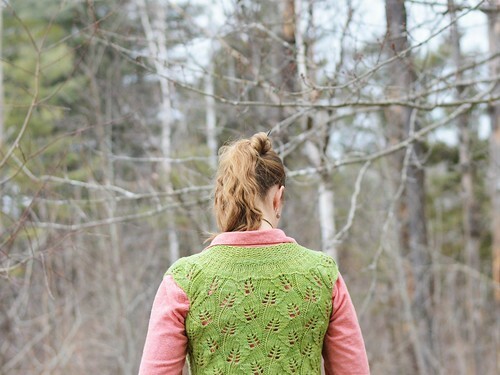 I’m waiting on some gorgeous yarn from BMFA for the Morning Walk KAL. That’s right, I’m knitting myself a second one. This time it’ll be in red (Love is a Verb is the name of their colorway) It’s another leaf-appropriate color but for the fall season. 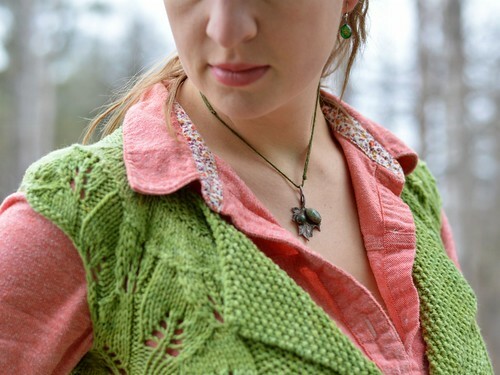 In the mean time I’m making slow progress on my poor, neglected greenery pullover. I’ve divided for the front/back twice now. The first time I followed the pattern. Which wouldn’t normally be a problem. 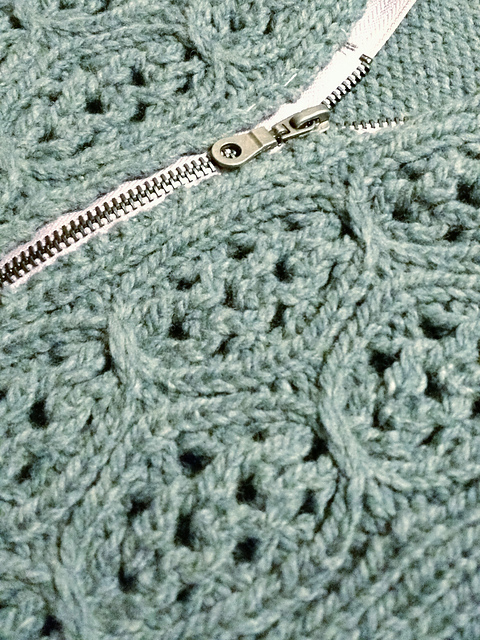 Except I’d added decreases for some bust shaping, which means that my stitch count was not the same as the pattern. So I had to frog a couple of inches of stockinette. But I’m getting there. I have some designs in progress and I think they’re finally going to see daylight! I’ve mentioned a lot how busy life has been. That’s finally starting to slow down. There was a moving truck involved. Things are definitely looking up in the commuting department. I haven’t had much time for knitting, or design work. But that’s finally starting to change. 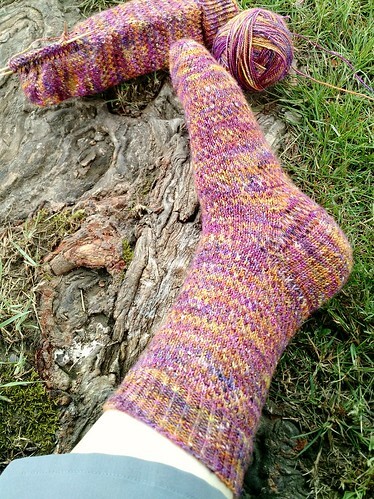 The things I have knit this year have been of my own imagining. And now I’m starting to revisit them. Write them up. Check my notes, my photos, dig out my samples. Fall is coming. 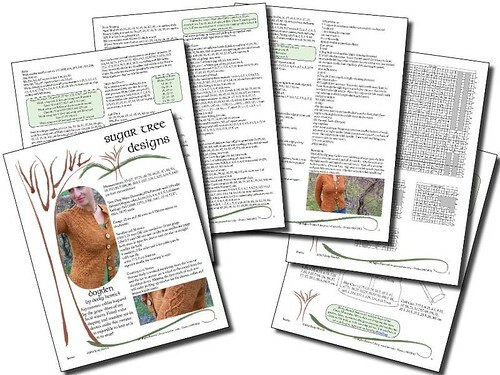 And new patterns will be here soon too! Watch this space! All these items are potential new designs. Anything you’d especially love to see a pattern for? Consider signing up for my newsletter if you never want to miss a release! When I saw the summer call included a theme for “mountain house” I just knew I had to submit. 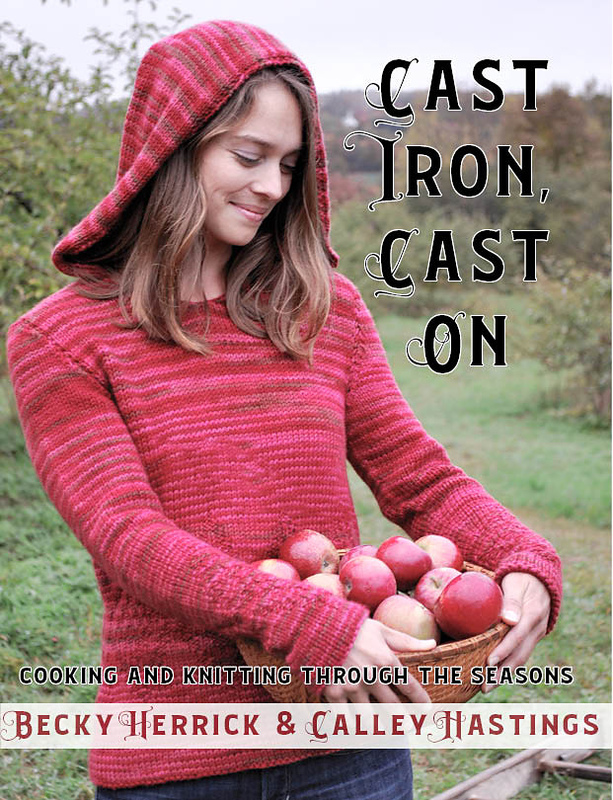 An entire story line in a summer issue about living in the mountains and needing a sweater once in a while? Sign. Me. Up. Working with the new editor, Meghan, was a pleasure and I love her eye for details. This issue is cohesive and beautiful. 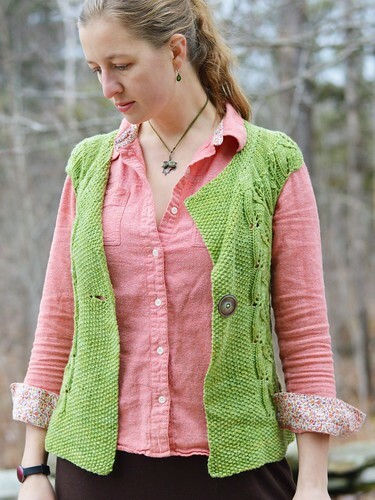 I love this vest (easy for me to say). 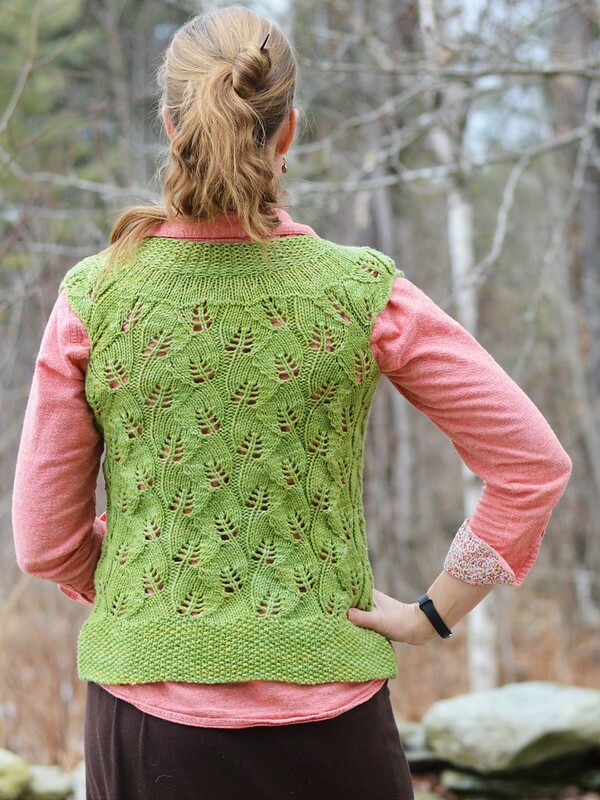 The cable and lace pattern is one that I’ve wanted to use in a garment forever. Integrating the ribbing with the chart took a bit of tweaking. So when you cast on follow those setup rows carefully. But once the ribbing is established it flows naturally into the charts and the body of the garment. 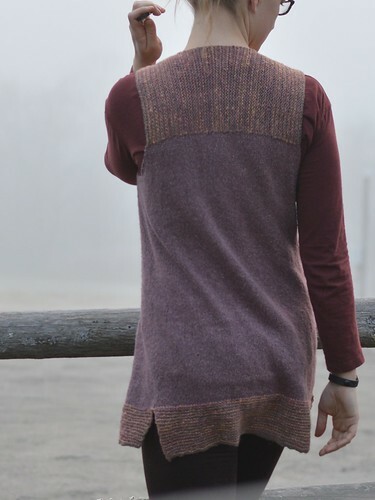 The body of the sweater switches to stockinette while the charts continue up the front and the ribbing continues at the sides to provide some stretchy fitting to the garment. 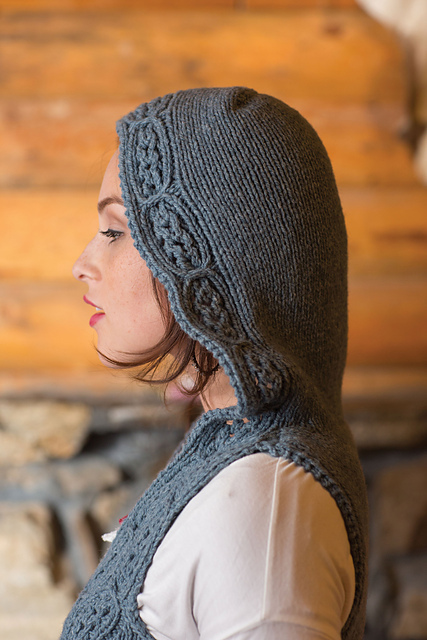 The pattern keeps on going right up the hood and meets at the very crown of the head. 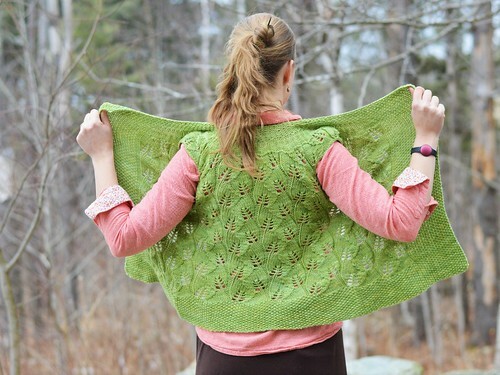 This is not my first time designing with Imperial Yarns and I love their Columbia base every time I work with it. You all know I love single source yarns and sustainable family farms. This yarn is also woolly, bouncy, but still soft and squeezable. I highly recommend it! *well, sort of – the print magazines won’t even be on the news stands until the 16th! 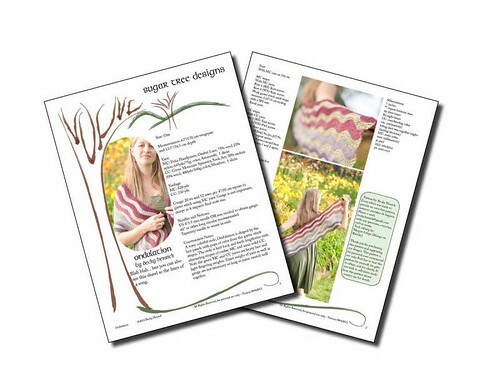 But the patterns and the electronic version are on Interweave’s site already. Isn’t living in the future fun? 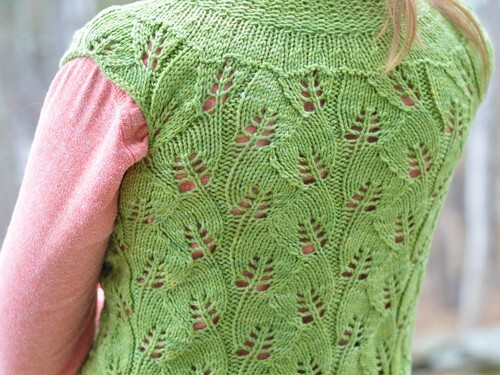 Remember waaay back in August when I was knitting a second of my Meristem pattern? I probably finished the knitting in September? I don’t remember exactly. I even got the ends woven in. But then is sat. And sat and sat and sat. I really don’t know why it sat for MONTHS waiting for me to sew the shoulder seams. When I finally got around to it, it took about 10 minutes. Rather crazily, over those months, I dropped a garment size. 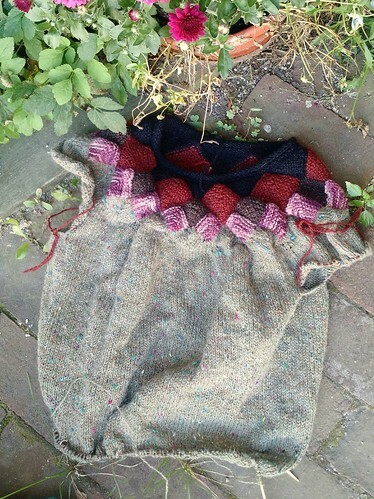 And I’d been knitting this vest with positive ease already. What to do? Instead of giving up on it, I decided to block the crap out of it and see what I could do. Instead of blocking it flat I blocked it by hanging it upside down – the goal was to stretch out the body. Essentially I blocked it to throw the row to stitch ratio all off and make the garment longer and narrower. And it worked! Well, pretty much. This vest is still a bit loose at the edges. Mostly the underarms, but honestly also the garter stitch hem is mis-sized compared to the body now. Not too much, but if you’re looking you can see it. Luckily somewhere over the fall I decided I needed more sweater dresses. So adding this one to my collection is a pleasant surprise. The biggest problem is the static. 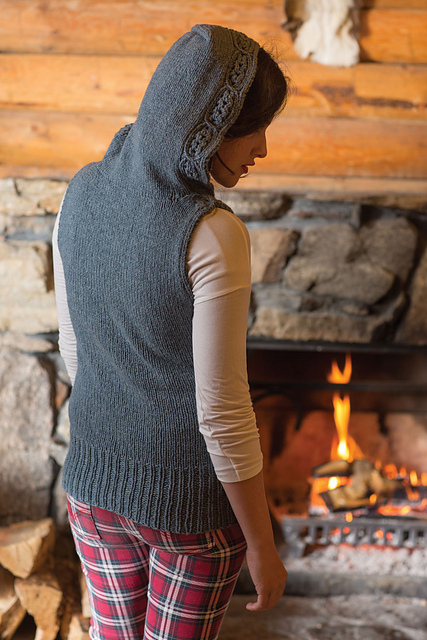 The trim is handspun, but the body is silky wool – and apparently this fiber blend is static-prone? I didn’t know, until now. And the dress could probably benefit a LOT from a slip (especially over my microfiber leggings) except that my slip is too long. But still, I finished this weeks ago. But it was late fall, or early winter, and I couldn’t take photos because it was dark. Until this week I finally took my camera with me to work. 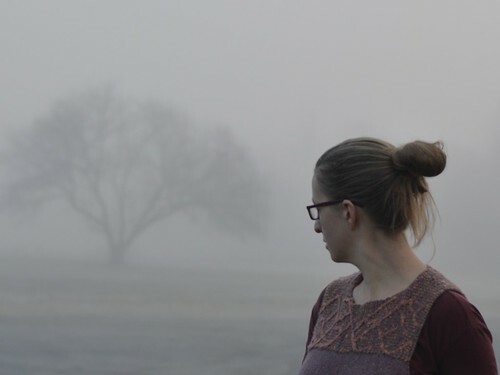 And the remote, the sweater dress, and I, we had a little photo shoot in the freezing fog. 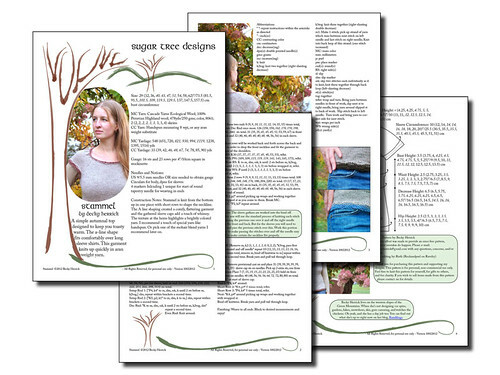 31% off all my self published patterns! Can you guess how old I am this year? The sale applies only to my indie designs, you can see all the options right here. 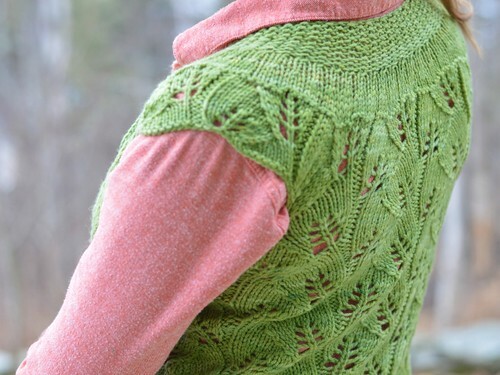 No codes are necessary, just buy the pattern and the discount will be automatically applied! 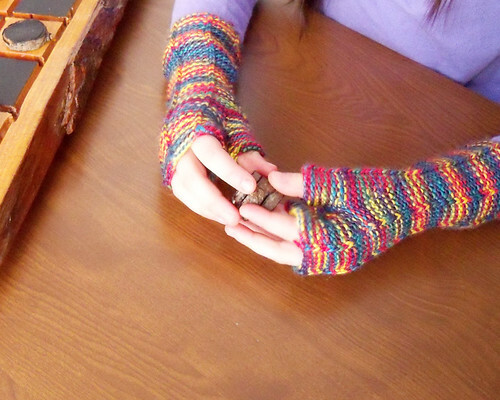 These are my Doric mitts – these basic little mitts have been in the planning stages just about forever. The concept came to me when I was swatching with some really lovely, multicolored malabrigo. 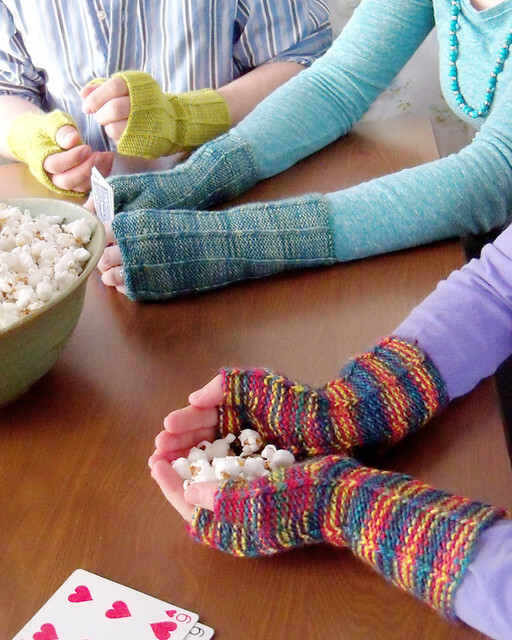 I wanted to make mitts (I always want to make mitts) but the multicolored yarn was not cooperating with any stitch patterns. We’ve all been there, right? 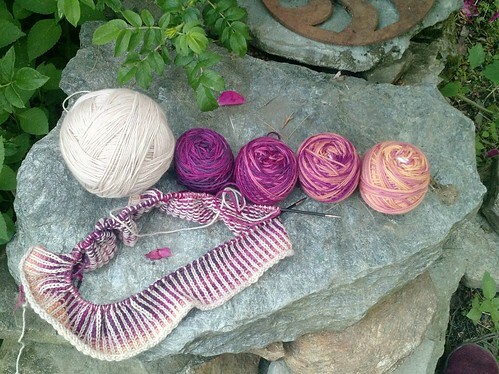 Hand painted yarn looks so pretty in the skein and it’s so hard to find the right project. My Doric mitts take advantage of how well reverse stockinette blends colors. 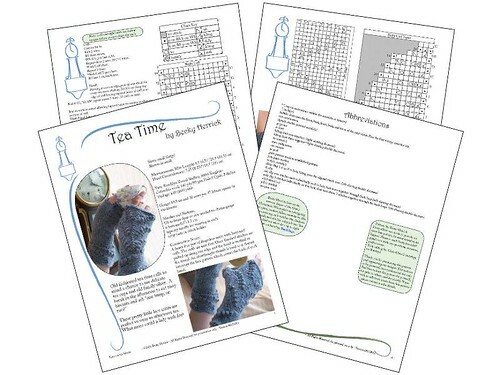 The twisted stitch columns break up the fabric adding visual and knitterly interest. I especially like how one column runs right up the thumb. 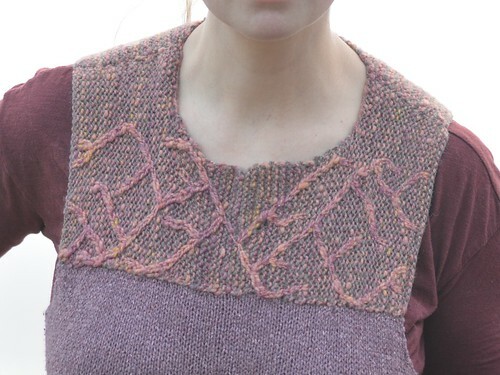 When Malabrigo offered Doric a spot in their quickie program I decided to offer this pattern sized for the whole family! That gave me a chance to show samples in colorways for everyone. 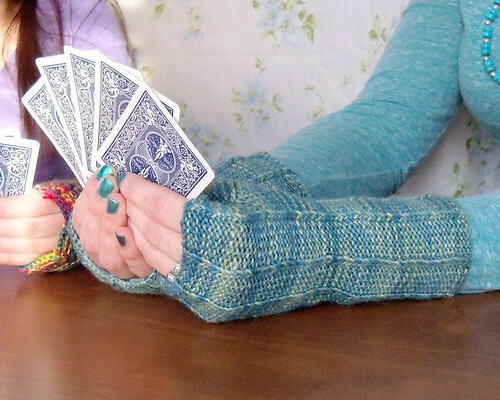 Because these mitts are designed for two reasons: to make the knitter feel clever, and to show off awesome yarn! And the clever part? The whole mitt is knit stockinette side out. Because if you’re like me, you don’t want to purl in the round that much. See? Clever use of multi colored yarn combined with clever knitting techniques. Perfect AND pretty! 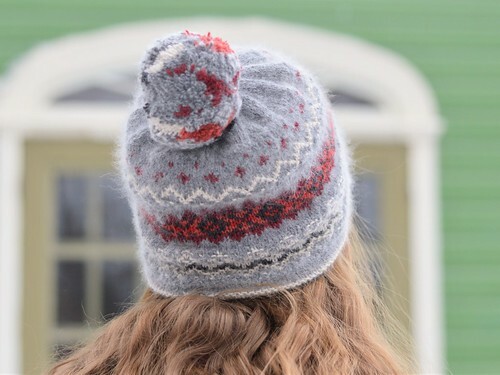 You can see more photos and pattern details on the pattern page here, or on ravelry.